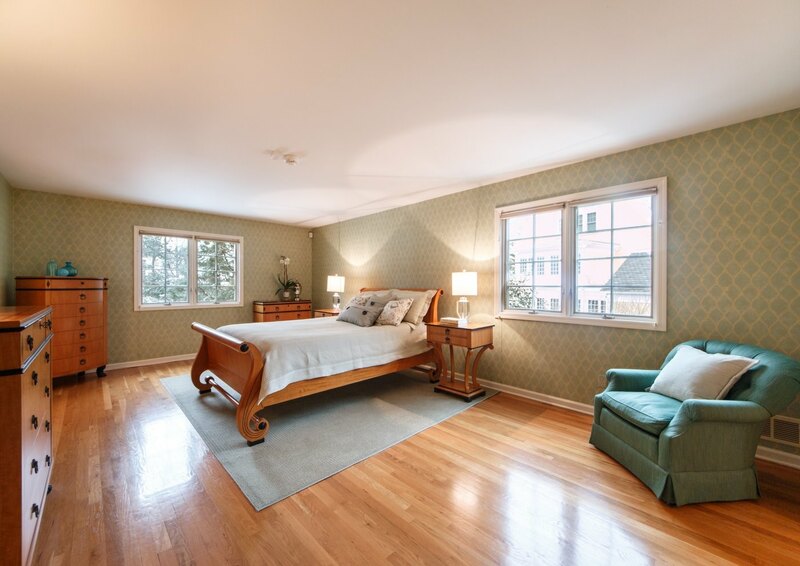 Welcome to 115 Woodland Avenue, a meticulously maintained family home in the heart of Northside Summit, NJ, just blocks from town and direct train to NYC. 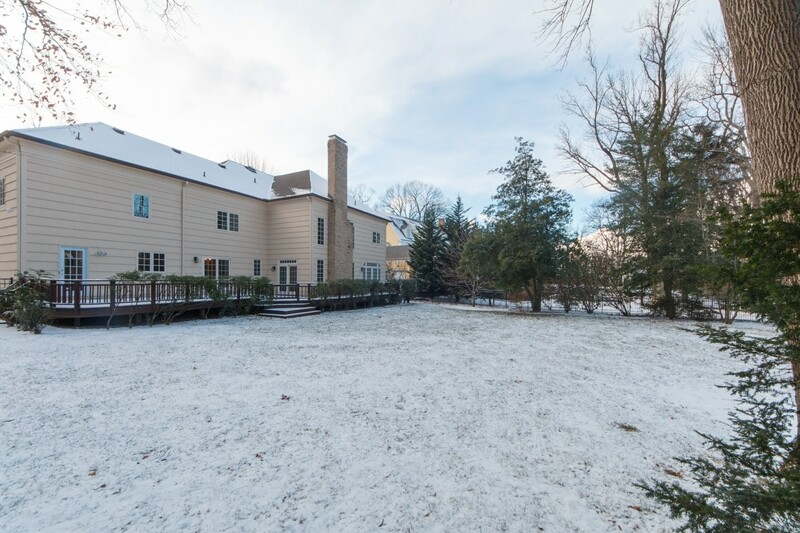 On approximately .7 acre professionally landscaped level lot, this center hall colonial features generously sized rooms and a comfortable, open floor plan. 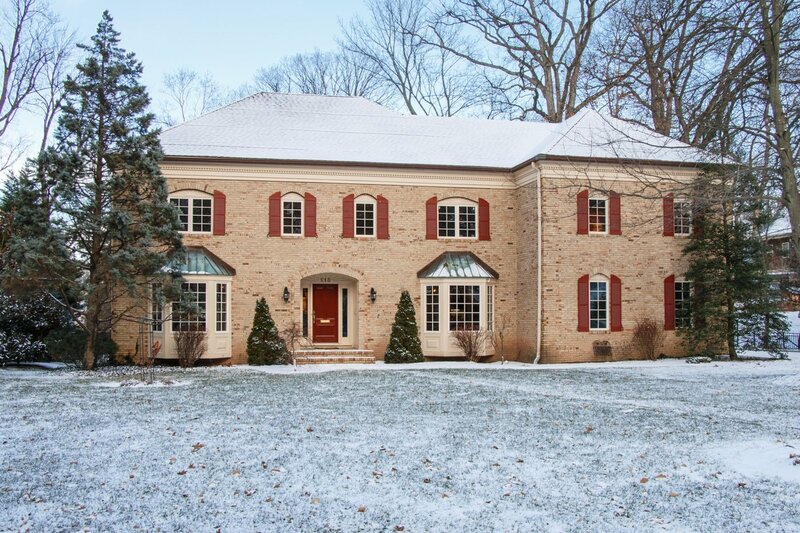 Upon entering, a center hall Foyer serves as your introduction to this gracious home where the gleaming hardwood floors, attractive dentil moldings and a stately curved staircase to the upper level provide your first glimpse of the tastefully appointed details that are evident throughout the home. 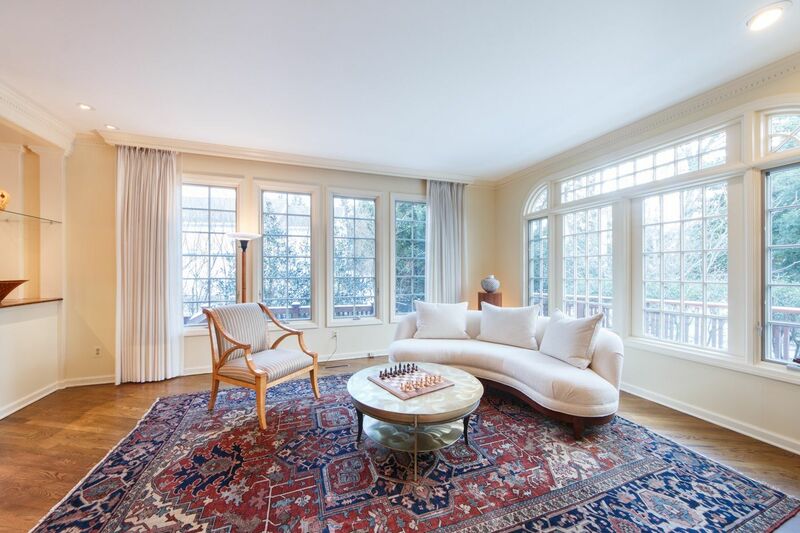 Proceed through a large arched entry into the spacious 2-tiered Living Room where light streams through the floor-to-ceiling windows and custom built-in mirrored display cabinets, a charming bay window and a “solarium” sitting area provide the ideal place for formal entertaining. 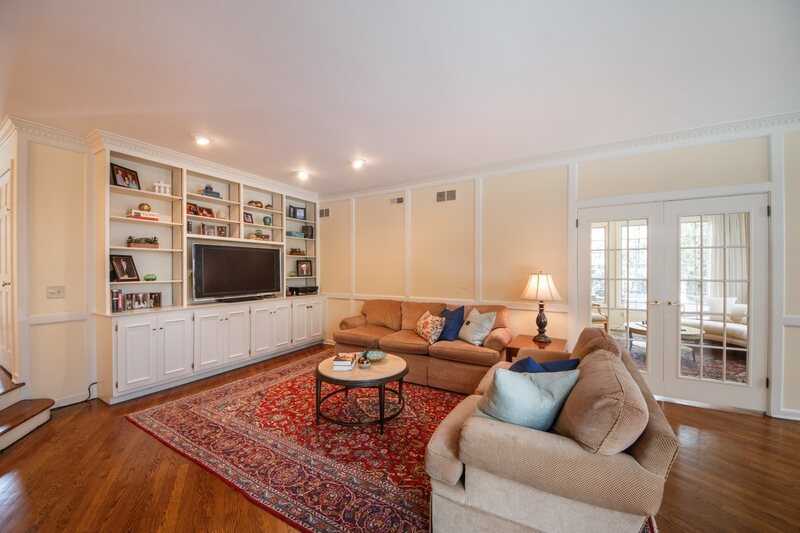 French doors lead you into the spacious Family Room where a large wood-burning fireplace takes center stage. 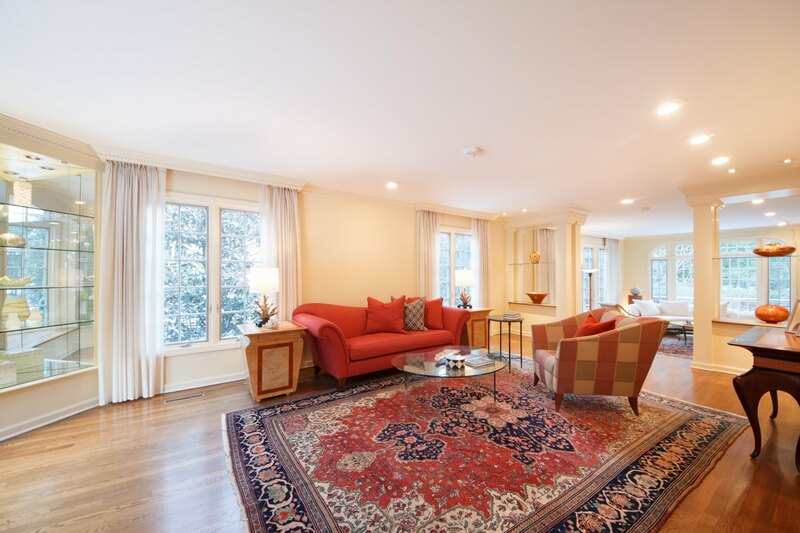 Here you’ll gather around to enjoy time with friends and family or simply cozy up in front of the fireplace with a book. 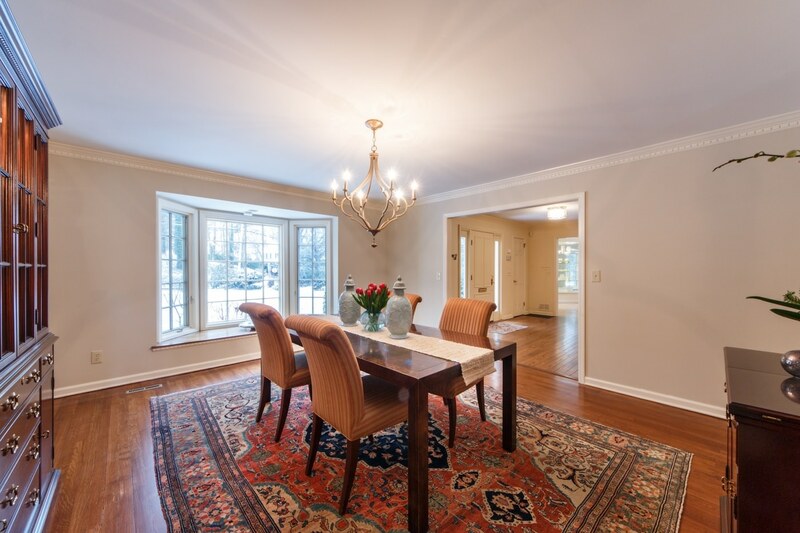 A short hallway leads to the large formal Dining Room where an attractive bay window provides picturesque views of the lush greenery outside – a truly elegant space for entertaining. 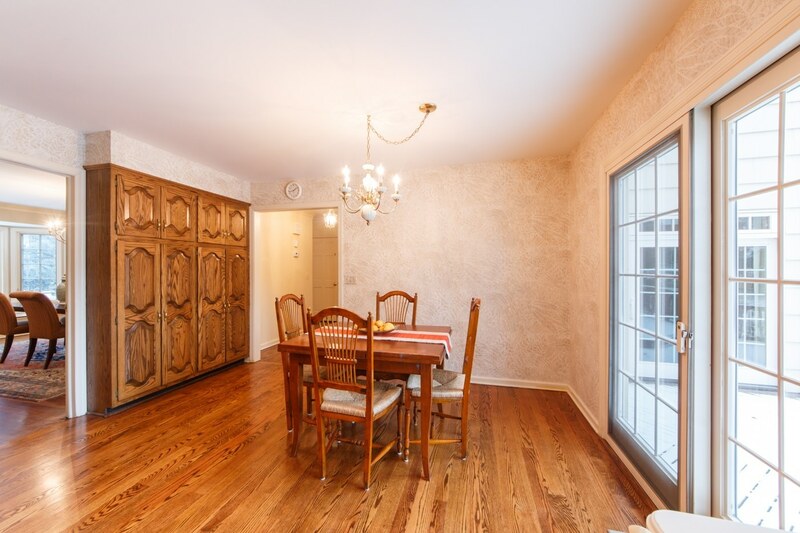 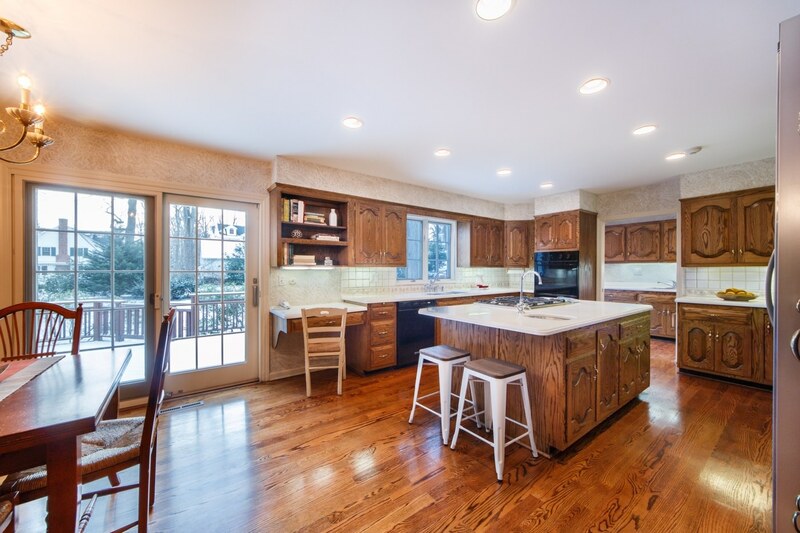 Immediately adjacent is the very large Kitchen and a separate breakfast room area. 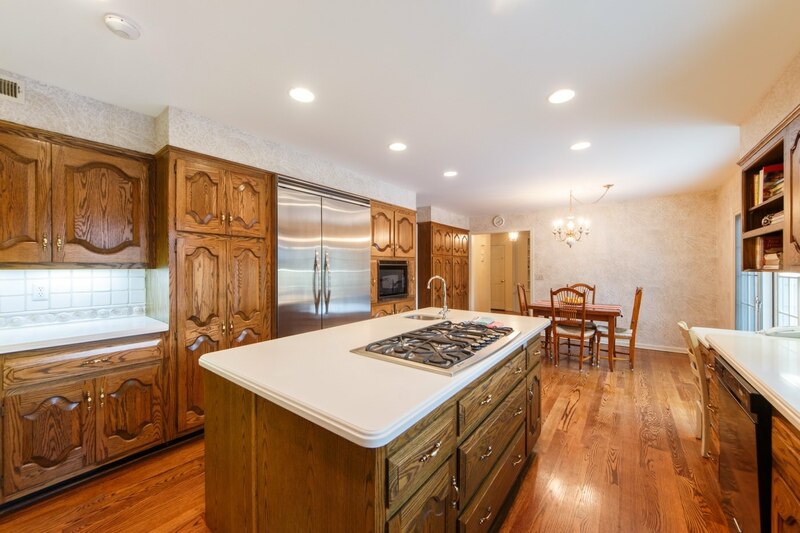 It is in need of updates but the footprint is the perfect size to envision a top of the line gourmet island kitchen with outside exit to the rear deck. 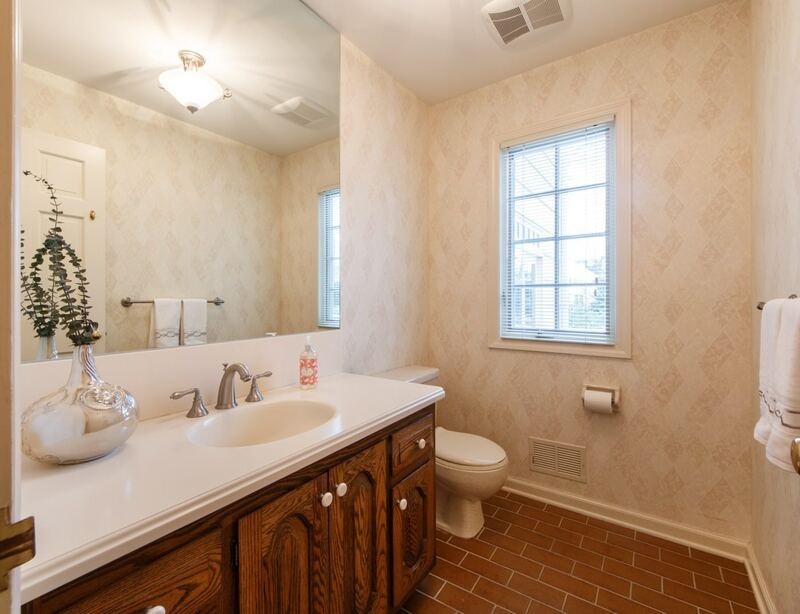 A conveniently located Powder Room as well as a large Laundry Room/Mud Room with access to both the rear yard and the garage complete the first level living space. 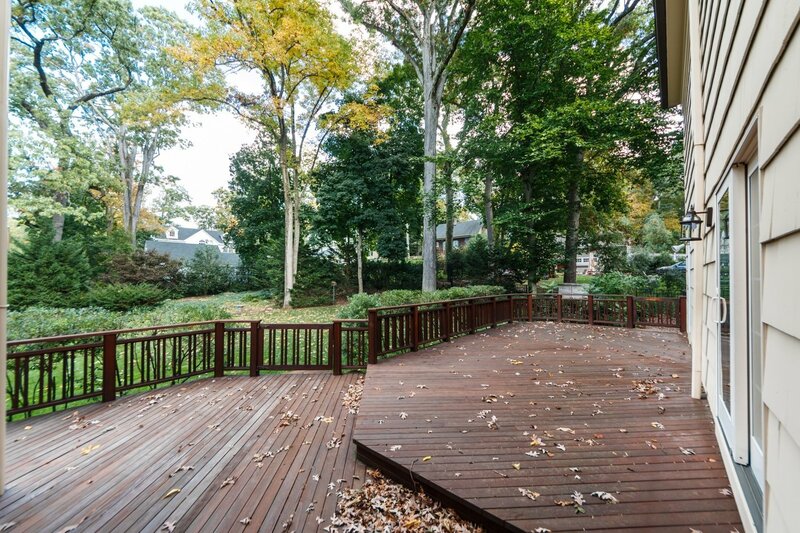 Outside, the California redwood deck has expansive space for entertaining and dining. 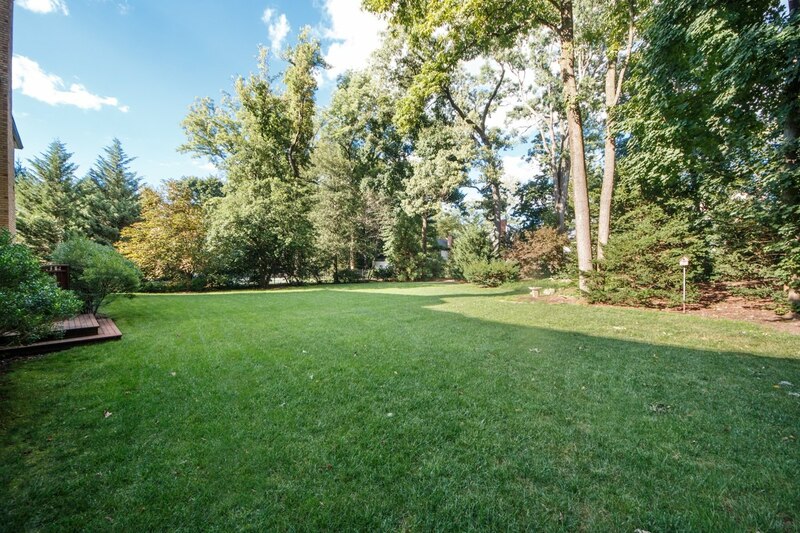 Beyond the deck, the backyard offers all the space you need for active play and gardening along with a maintenance free fence to insure your family’s safety and privacy…picture the space with multiple tables and lounge chairs, appetizing smells coming from a barbeque grill, and family members and friends gathered for quality time together. 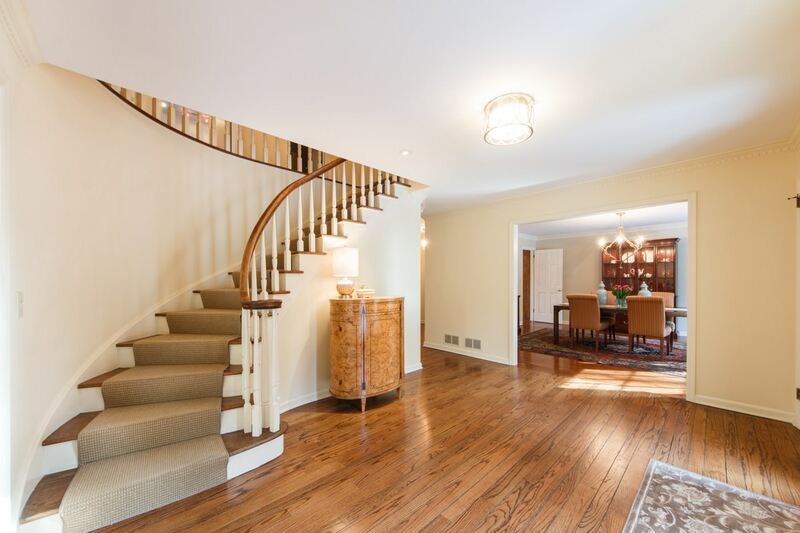 When its time to retire at the end of the evening you’ll proceed to the grand staircase leading up to the second level where six bedrooms and three baths assure everyone’s ultimate comfort. 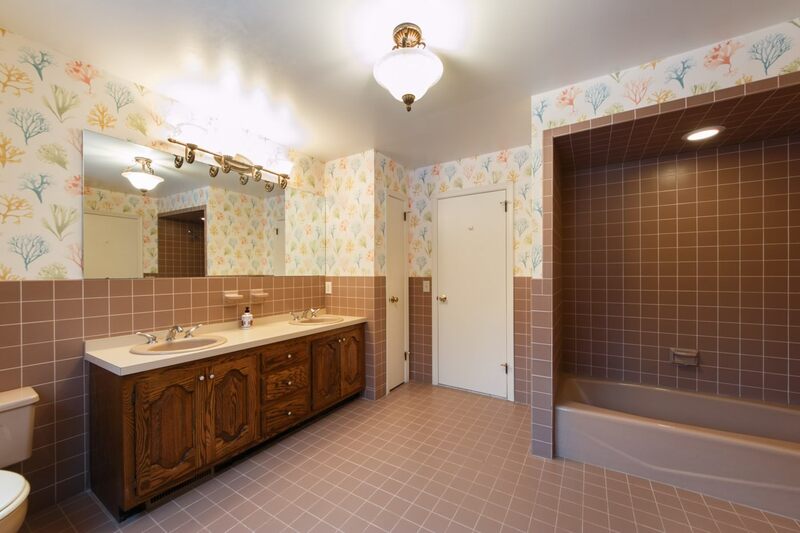 The baths are all very spacious, and ready for it’s new buyer’s updates. 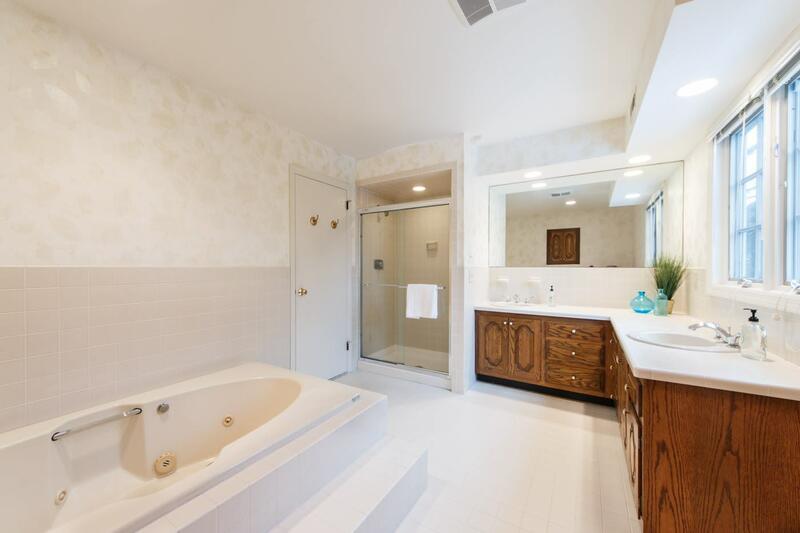 The Master Suite is impeccably designed with a large walk-in closet with custom shelving, a well lit dressing area complete with vanity and sink, a large en suite master bath featuring a tile topped double vanity, a Jacuzzi tub and a walk-in shower with tile backsplash. 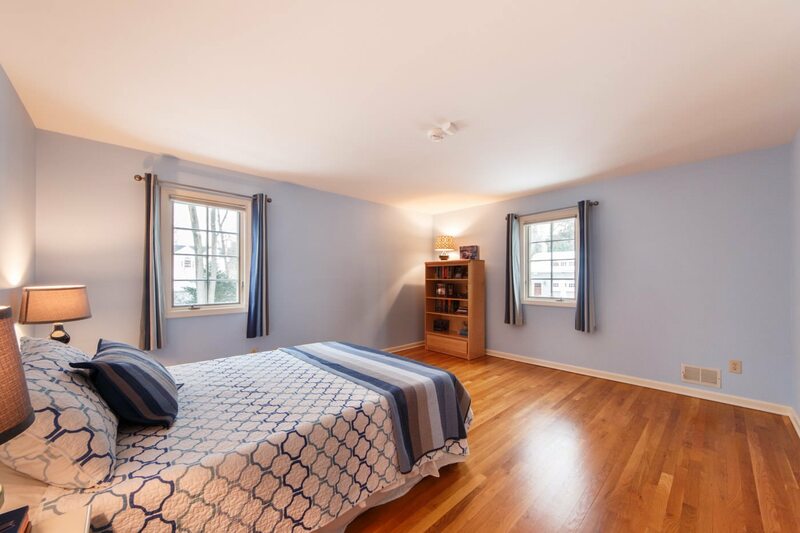 The Family/Guest Bedrooms are enormous and feature hardwood floors, abundant closet space and a combination of en suite and hall access bathrooms to satisfy all family and guest needs. 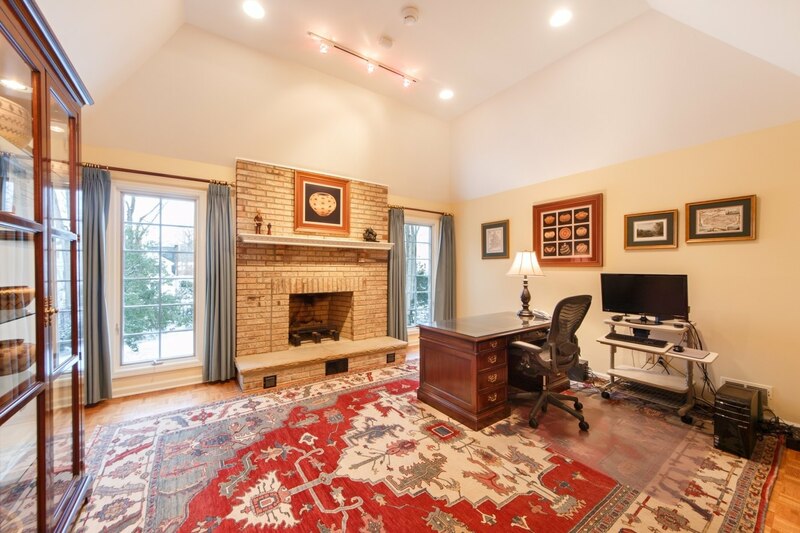 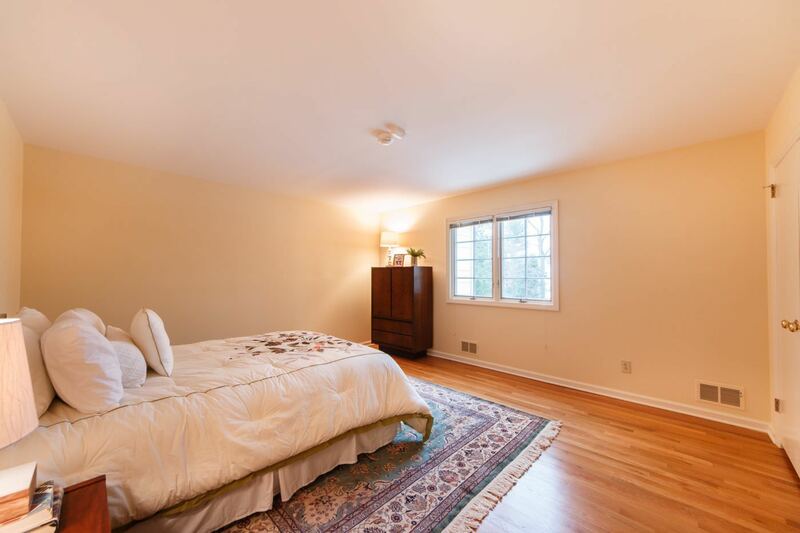 You’ll even have the option to utilize the large unique bedroom featuring parquet floors and a charming brick fireplace as a private study or impressive guest room. 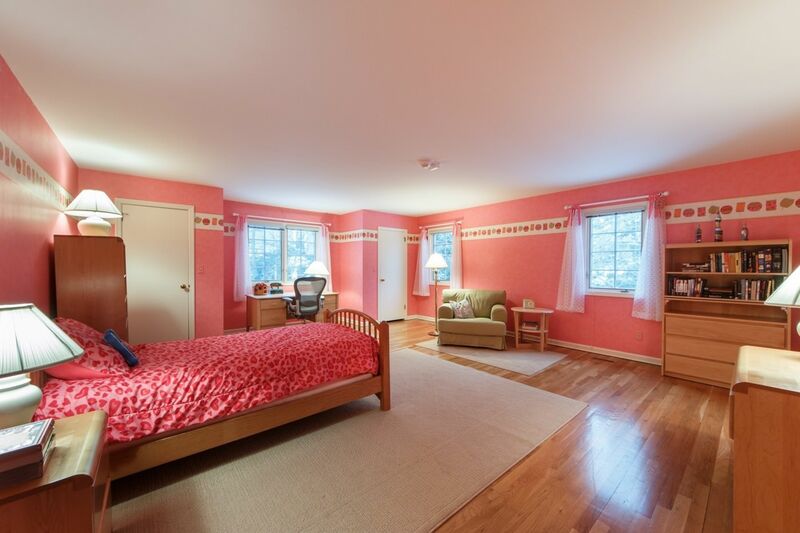 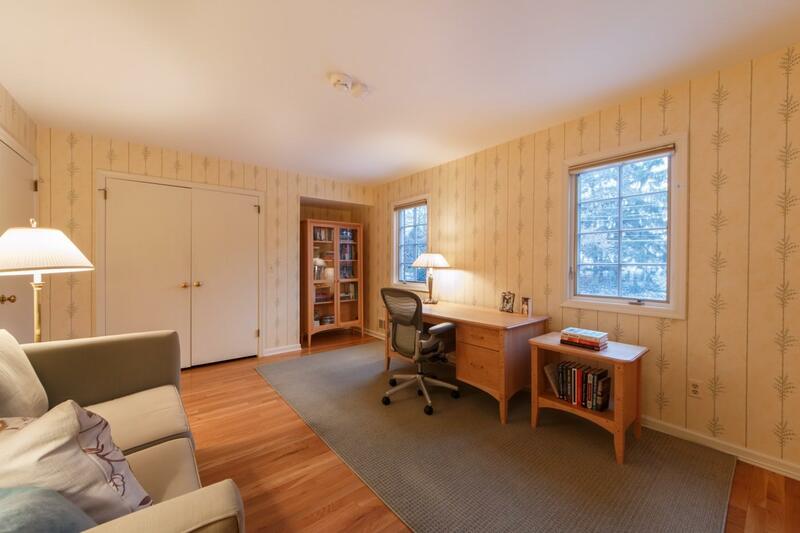 There are also three large hall closets and walk up access to a full level of attic storage area. 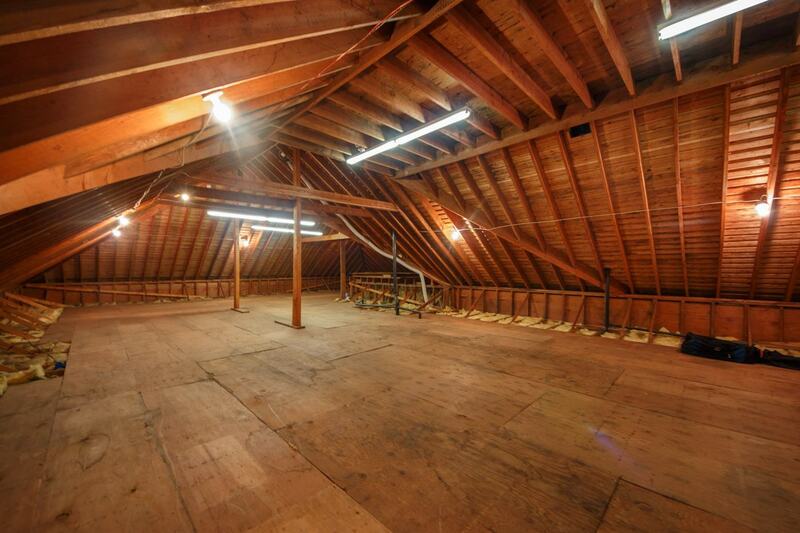 The possibilities for expansion are endless with so much usable space. 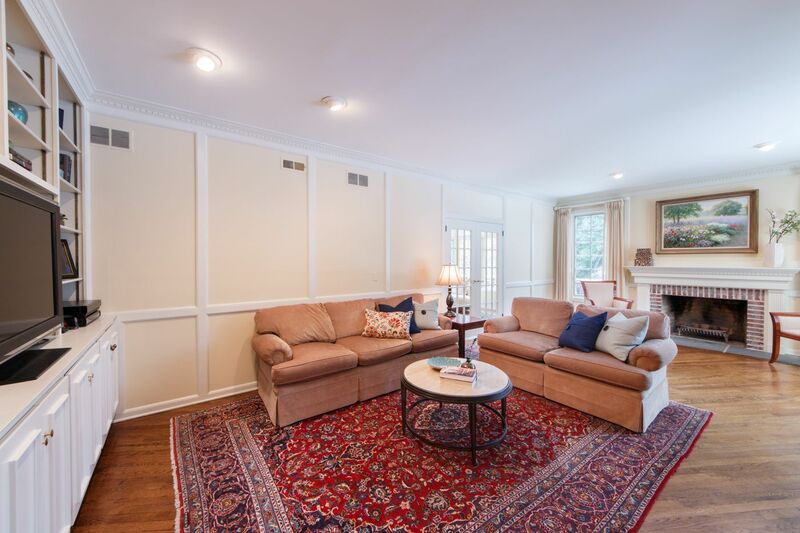 And there’s more…the finished lower level includes a large freshly painted and carpeted recreation area with attractive bead board wainscoting, recessed lighting and an abundance of storage space. 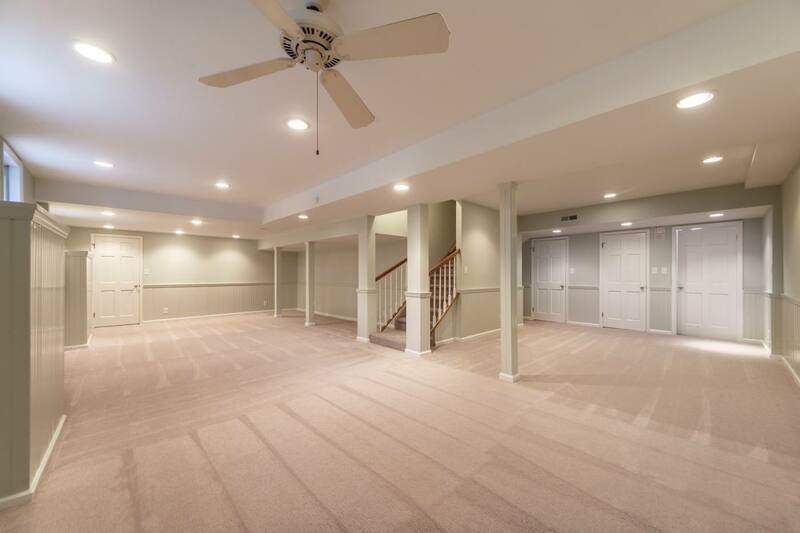 Expansive unfinished space provides all the additional storage area you could ever require as well as plenty of options for growth with your changing needs. 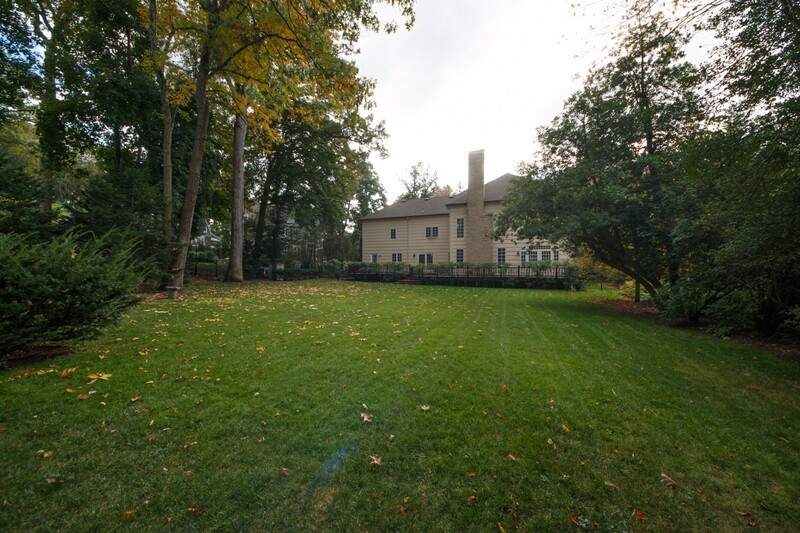 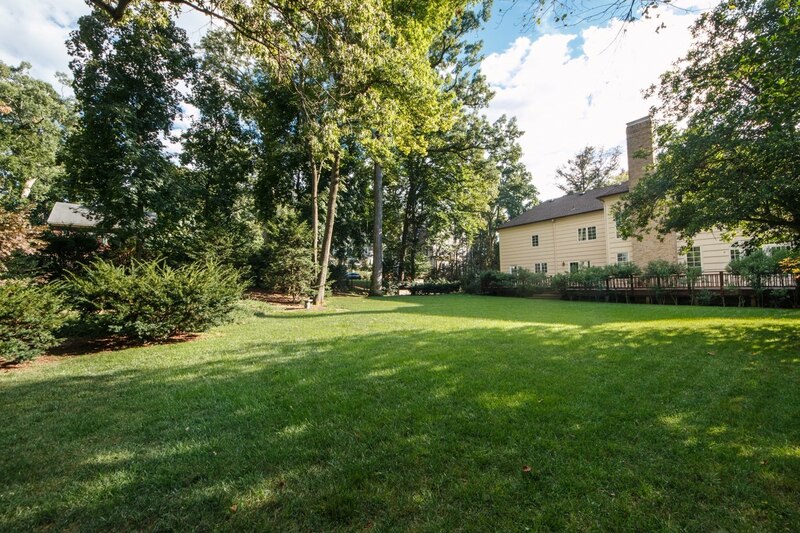 With its breathtaking grounds and sought after location, 115 Woodland Avenue is a private retreat within walking distance to NYC transportation, downtown Summit’s shops, restaurants and sought after schools…it’s the perfect place to call home.